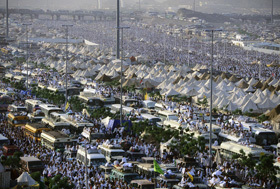 Just after sunset, the mass of pilgrims proceeds to Muzdalifah, an open plain about halfway between Arafat and Mina. There they first pray and then collect a fixed number of chickpea-sized pebbles to use on the following days. Before daybreak on the third day, pilgrims move en masse from Muzdalifah to Mina. There they cast at white pillars the pebbles they have previously collected, a practice associated with the Prophet Abraham. As pilgrims throw seven pebbles at each of these pillars, they remember the story of Satan’s attempt to persuade Abraham to disregard God’s command to sacrifice his son. Throwing the pebbles is symbolic of humans’ attempt to cast away evil and vice, not once but seven times - the number seven symbolizing infinity. Following the casting of the pebbles, most pilgrims sacrifice a goat, sheep or some other animal. They give the meat to the poor after, in some cases, keeping a small portion for themselves. This rite is associated with Abraham’s readiness to sacrifice his son in accordance with God’s wish. It symbolizes the Muslim’s willingness to part with what is precious to him, and reminds us of the spirit of Islam, in which submission to God’s will plays a leading role. This act also reminds the pilgrim to share worldly goods with those who are less fortunate, and serves as an offer of thanksgiving to God. As the pilgrims have, at this stage, finished a major part of the hajj, they are now allowed to shed their ihram and put on everyday clothes. On this day Muslims around the world share the happiness the pilgrims feel and join them by performing identical, individual sacrifices in a worldwide celebration of ‘Eid al-Adha, “the Festival of Sacrifice.” Men either shave their heads or clip their hair, and women cut off a symbolic lock, to mark their partial deconsecration. This is done as a symbol of humility. 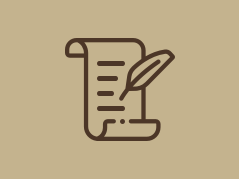 All proscriptions, save the one of conjugal relations, are now lifted. Still so journing in Mina, pilgrims visit Mecca to perform another essential rite of the hajj: the tawaf, the seven-fold circling of the Kaaba, with a prayer recited during each circuit. 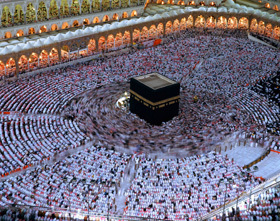 Their circumambulation of the Kaaba, the symbol of God’s oneness, implies that all human activity must have God at its center. It also symbolizes the unity of God and man. While making their circuits pilgrims may kiss or touch the Black Stone. This oval stone, first mounted in a silver frame late in the seventh century, has a special place in the hearts of Muslims as, according to some hadeeth, it is the sole remnant of the original structure built by Abraham and Ishmael. But perhaps the single most important reason for kissing the stone is that the Prophet did so. After completing the tawaf, pilgrims pray, preferably at the Station of Abraham, the site where Abraham stood while he built the Kaaba. Then they drink of the water of Zamzam. Another, and sometimes final, rite is the sa’y, or “exerting.” This is a reenactment of a memorable episode in the life of Hagar, who was taken into what the Quran calls the “uncultivable valley” of Mecca, with her infant son Ishmael, to settle there. These rites performed, the pilgrims are completely deconsecrated: They may resume all normal activities. They now return to Mina, where they stay up to the 12th or 13th day of Dhu al-Hijjah. There they throw their remaining pebbles at each of the pillars in the manner practiced or approved by the Prophet. They then take leave of the friends they have made during the Hajj. Before leaving Mecca, however, pilgrims make a final tawaf round the Kaaba to bid farewell to the Holy City. Usually pilgrims either precede or follow the hajj, “the greater pilgrimage,” with the umrah, “the lesser pilgrimage,” which is sanctioned by the Quran and was performed by the Prophet. The umrah, unlike the hajj, takes place only in Mecca itself and can be performed at any time of the year. The ihram, talbiyah and the restrictions required by the state of consecration are equally essential in the umrah, which also shares three other rituals with the hajj: the tawaf, sa’y and shaving or clipping the hair. The observance of the umrah by pilgrims and visitors symbolizes veneration for the unique sanctity of Mecca. 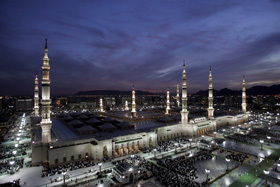 Before or after going to Mecca, pilgrims also avail themselves of the opportunity provided by the hajj or the umrah to visit the Prophet’s Mosque in Medina, the second holiest city in Islam. Here, the Prophet lies buried in a simple grave. The visit to Medina is not obligatory, as it is not part of the hajj or umrah, but the city - which welcomed Muhammad when he migrated there from Mecca - is rich in moving memories and historical sites that are evocative of him as a Prophet and statesman. As pilgrims of diverse races and tongues return to their homes, they carry with them cherished memories of Abraham, Ishmael, Hagar, and Muhammad. They will always remember that universal concourse, where poor and rich, black and white, young and old, met on equal footing. They return with a sense of awe and serenity: awe for their experience at Arafat, when they felt closest to God as they stood on the site where the Prophet delivered his sermon during his first and last pilgrimage; serenity for having shed their sins on that plain, and being thus relieved of such a heavy burden. They also return with a better understanding of the conditions of their brothers in Islam. Thus is born a spirit of caring for others and an understanding of their own rich heritage that will last throughout their lives.